As the weekend approaches, I'm here with some of the best celebrity looks of this week! And that includes some of the most loved beauties from both Hollywood & Bollywood! Some of the looks are from various events while others are more of laid-back yet stylish & inspiring! The adorable Bella Thorne looked pretty as a doll in this mini dress which had a beautiful colour combination! She completed her look with bright pink heels! Michelle Keegan looks adorable in this lovely playsuit as she enjoyed her evening in Manchester! Kendall Jenner looked chic & stylish in an off shoulder crop top & blue denims. 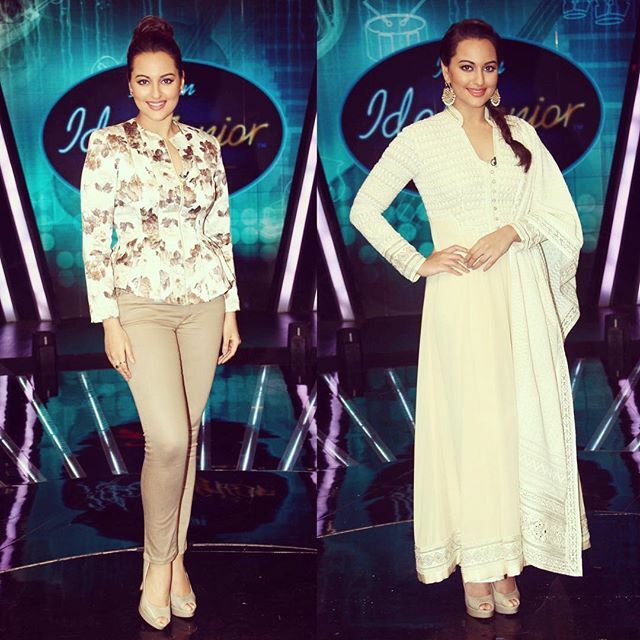 Sonakshi Sinha shared this snap on Instagram- both ther look at Indian Idol Junior were perfect from top to toe! Olivia Palermo in a perfect beach look! So what do you think about these fashionable celebs! Who topped your list this week?